Ten years ago, Deena Shakir was working at the U.S. State Department in the office of Secretary Clinton. As part of her role as a Presidential Management Fellow, she was helping launch an effort around diaspora entrepreneurship. The project was focused on galvanizing first- and second-generation Americans of various backgrounds who wanted to give back and help promote entrepreneurship, job creation and socio-economic development in their countries of origin. While doing research for the project, Shakir, an Iraqi-American who was born and raised in Silicon Valley, was particularly excited when she came across an organization called TechWadi. TechWadi is a non-profit that works to build bridges between Silicon Valley and the Middle East and North Africa (MENA) region by promoting and supporting tech entrepreneurship. At DRIVE, our upcoming global conference with the Lazaridis Institute on scaleup ecosystems taking place in Waterloo, February 20-22, Shakir will share her experiences working with TechWadi. Get your all-access DRIVE 2019 conference passes now. At the time, Techwadi was trying to bring together ex-pats from the Arab world who were working in Silicon Valley and passionate about entrepreneurship in the Middle East. As she researched the organization further, Shakir realized that the then-chairman of the board was actually someone she had known since she was a little girl (she went to elementary school with his children). Soon they connected and Shakir started volunteering with TechWadi, eventually joining the board, then later joining the advisory board where she currently sits. TechWadi’s central mission to foster innovation and entrepreneurship spoke to Shakir’s life-long desire to make a global impact through her work. Besides working for Secretary Clinton at the State Department, Shakir’s impressive resume includes stints as a journalist, entrepreneur, angel investor and tech advisor. She currently works as a Partner at GV (formerly known as Google Ventures), where she supports their portfolio of 350+ companies to grow and scale through partnerships. Shakir says the networks and skills she’s built through her unique experiences, including her current day job at GV, have given her the tactical resources to connect entrepreneurs and help foster global and local tech ecosystems. While Shakir herself lives and works in Silicon Valley, she says our increasingly globalized world means tech entrepreneurs can and should foster innovation everywhere. Shakir points to the transfer of skills and knowledge happening through organizations like TechWadi and the Lazaridis Institute as examples of how innovation can help support localities all over the world. The reality is that every region needs job creation and economic growth. By fostering entrepreneurship in ecosystems around the world, that growth can happen outside the confines of Silicon Valley and the Toronto-Waterloo corridor. At DRIVE, Shakir will explore how exactly we can foster this kind of entrepreneurship and share examples from her work of ways tech companies are making a global and local impact. #DRIVE19 will host thought-leaders from around the world — including Canada, the U.S., the Netherlands, Norway, Sweden, Denmark, Finland, Iceland, Nigeria, Kenya, France, Israel, Ireland, South Korea, and England. It will be an opportunity to learn how regional tech ecosystems around the world foster innovation and build thriving, liveable communities. Tickets are still available, get your DRIVE 2019 all-access passes now. 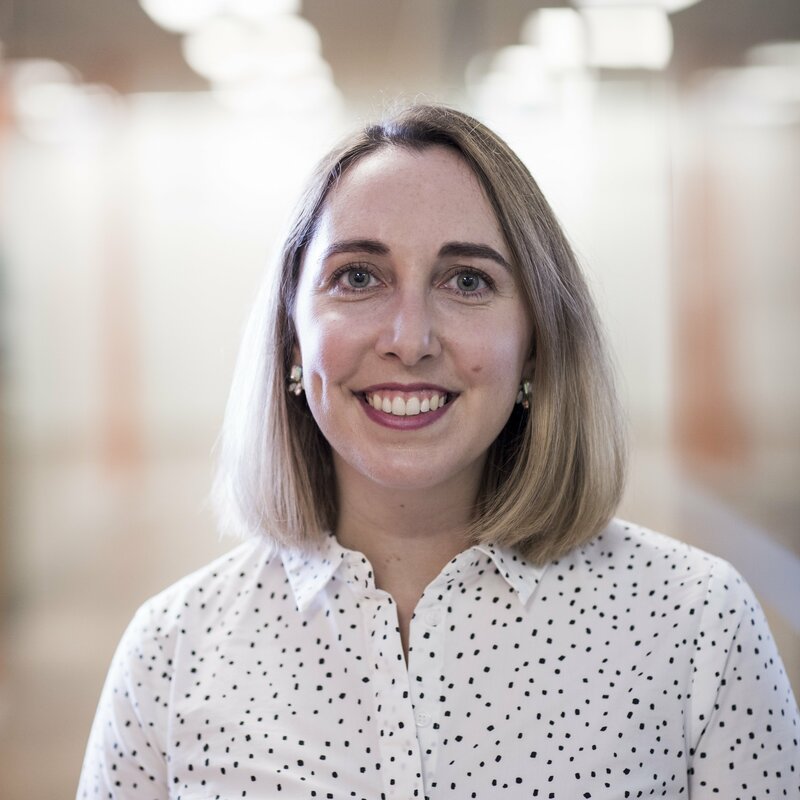 Katie Rankin is the Content Marketing Manager at Hockeystick. Katie is passionate about taking complex policies, procedures and ideas and weaving them into compelling narratives for diverse audiences. As a journalist, she has experience writing and producing materials for magazine, newspaper and radio. Katie is also an accomplished speechwriter and communications specialist. Katie holds a BA in English Literature from the University of Prince Edward Island, a Bachelor of Journalism from the University of King’s College, Halifax and an MA in Popular Culture Studies from Brock University. Katie’s favourite things to talk about are teen television and her home province Prince Edward Island. to get more from Hockeystick. Accelerators, Incubators, Coworking Spaces: What's the Difference? Have you ever wondered what the difference is between an accelerator, incubator and coworking space? We're looking at the differences and similarities between these innovation hubs and showcasing some of the coolest startup spaces in Canada. Are you an entrepreneur looking for funding and support so your company can hit its next big milestone? This step-by-step guide to using Hockeystick Database will show you exactly how you can find the right funders, grants and accelerators to scale your company. The Toronto-Waterloo startup ecosystem is the second largest technology cluster in North America, but the support available to companies can be difficult to navigate. That's why Hockeystick created an infographic that entrepreneurs can use to better understand what services are available to them.